This is Part 2 of a 3 part series of perspectives on stem cell applications to regenerating damaged myocardium. This series of articles discusses the difficulties we have encountered in adopting stem cell research to clinical therapeutics in regeneration of cardiac tissue damaged post myocardial infarct. Enormous problems have been encountered in the selection of progenitor cells, the growth into compatible and functional myocardial tissue, and the survival of the myocardium. Part I went into some detail on a method of obtaining suitable cells, growing them in sheets, and transferring the sheets to the surface for regeneration and repair, which is now going into clinical trials. Part I will be confined to the importance of source of progenitor cells, whether adult stem cells or umbilical cord blood. Current Vascular Pharmacology, 2007, 5, 27-44 © 2007 Bentham Science Publishers Ltd.
Abstract: The heart does not mend itself after infarction. Cell-based strategies have promising therapeutic potential. Recent clinical and pre-clinical studies demonstrate varying degrees of improvement in cardiac function using different adult stem cell types such as bone marrow (BM)-derived progenitor cells and skeletal myoblasts. However, the efficacy of cell therapy after myocardial infarction (MI) is inconclusive and the cellular source with the highest potential for regeneration is unclear. Clinically, BM and skeletal muscle are the most commonly used sources of autologous stem cells. One major pitfall of using autologous stem cells is that the number of functional cells is generally depleted in the elderly and chronically ill. Therefore, there is an urgent need for a new source of adult stem cells. Human umbilical cord blood (CB) is a candidate and appears to have several key advantages. CB is a viable and practical source of progenitor cells. The cells are naïve and what’s more, CB contains a higher number of immature stem/progenitor cells than BM. We review recent clinical experience with adult stem cells and explore the potential of CB as a source of cells for cardiac repair following MI. We conclude that there is a conspicuous absence of clinical studies utilizing CB-derived cells and there is a pressing need for large randomized double-blinded clinical trials to assess the overall efficacy of cell-based therapy. There is an urgent need for new and effective therapy for congestive heart failure (CHF). Heart cells may have a limited capacity to regenerate after myocardial infarction (MI), therefore the use of stem cells for cardiac repair is a logical option. In the past three years, clinical and pre-clinical stud-ies examined the potential of a variety of adult stem cells from different sources as therapy for cardiac disease [1-40]. Adult stem cells are typically chosen in clinical studies be-cause their use avoids the ethical problems associated with embryonic cells. Furthermore, adult stem cells were reported to be pluripotent, capable of differentiating to different cell types [41-45]. Bone marrow-derived hematopoietic stem cells, for example, appear to differentiate into brain cells, skeletal muscle cells, liver cells and cardiomyocytes [42-45]. However, the conclusions of the studies have been recently challenged [10-21, 45]. Regardless of the source, stem cells are difficult to iden-tify because they are hard to distinguish from other cells. No techniques are available to reliably identify stem cells other than surface markers. However, cell surface markers are fickle in that none of them appear to be unique to stem cells. For example, stem and progenitor cells of a varying degree of maturity all express the CD34+ surface marker.. Stem cells are typically recovered by isolation of mononuclear cells (MNCs) and subsequent enrichment for a subset of cells that express certain surface markers such as CD34+ or CD133+, etc. These precursors are commonly sorted using the fluores-cence activated sorting system [1-45]. Direct intramyocardial injection of stem cells into the myocardium is the common route of delivery during surgical intervention. This technique of local delivery of stem/ pro-genitor cells to the myocardium has been shown to be feasi-ble and safe in patients with heart disease [1-4, 10-12, 13, 20, 22, 28]. Other than open-heart surgery, the intra-coronary route appears to be the preferred approach in clinical studies because the stem cells are delivered directly to the affected area without traumatizing the myocardium or submitting the body to the systemic side effects of stem cell mobilization [5-9, 14-19, 21]. A complementary approach to increase the efficiency of progenitor cell transplantation is to enhance cell recruitment and retention in the infarcted heart. 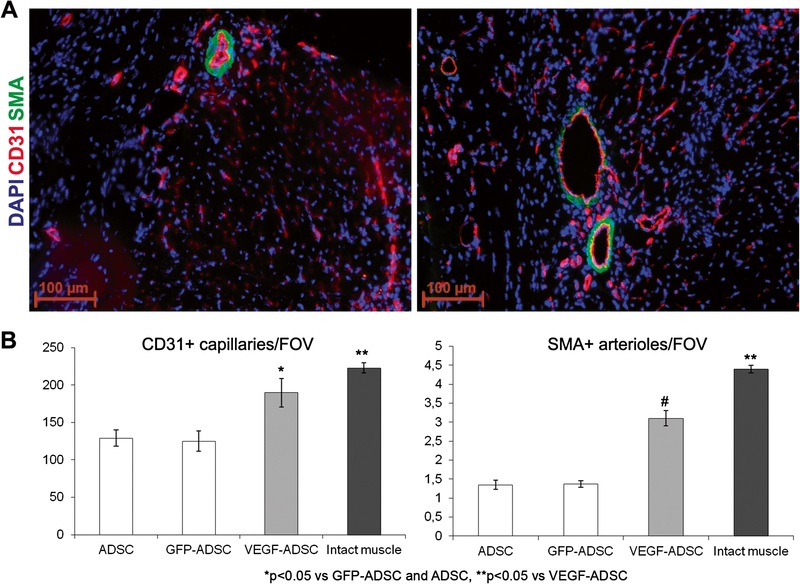 For example, stromal cell-derived factor (SDF-1α) has recently been shown to play a critical role in stem cell recruitment to the heart after MI . Although there are other sources of adult stem cells such as adipose tissue [47, 48] and cardiac tissue [49, 50], this review briefly discusses clinical trials using BM stem cells and skeletal muscle myoblasts and pre-clinical studies that used cord blood (CB) cells for heart repair carried out during the past three years. This time period was chosen due to the plethora of excellent published reviews that serve as a foun-dation for this work [51-54]. In addition, the reader may re-fer to several recently published reviews [55-63]. Current clinical experience purports the safety and feasibility of BM stem cells and skeletal muscle myoblasts as autologous cell-therapy for cardiac disease [1-20, 22-30]. However, these cell sources have limitations. For example, recovering sufficient numbers of functional BM progenitor cells is a problem in the elderly and ill . Cardiovascular diseases such as diabetes are associated with BM cell dysfunction . Cardiac calcifications were reported in patients following BM stem cell transplantation . Bone marrow-derived mesenchymal cells (MSCs) have been suggested to play a role in myocardial scarring . Skeletal myoblasts have been associated with arrhythmias and have failed to establish gap junctions with native myocardial cells . Furthermore, the efficacy of these cells in repairing damaged myocardium in clinical settings is still not clear partially due to the lack of protocol standardization as well as the use of adjunct treatment. Different diseases, cell types, cell numbers, routes of cell delivery, end point measurements, and the small number of patients included in these studies make it difficult to draw conclusions about the efficacy of stem cell therapy. Larger clinical trials are now underway to assess the risks and benefits of cell-transplantation using stem cells from BM and skeletal muscle . Another emerging source of stem cells is human umbilical CB. CB has the advantage of being readily available. Numerous CB banks already exist and their number is on the rise [64, 66]. CB is obtained by a non-invasive procedure, and contains a larger portion of immature and non-committed cells than BM. Stem cells derived from CB are expandable ex vivo, appear to be more resistant to apoptosis and the risk of transmission of infection is low [64, 67]. In addition, transplantation of CB cells is associated with a lower incidence and risk of graft-versus-host disease [68, 69]. Similar to previous studies that reported beneficial effects of stem cells isolated from BM and skeletal muscle, CB stem cells also show promise for cardiac repair [1, 3-9, 10¬12, 14, 15, 17-23, 25, 27-29]. Over four thousand CB transplants worldwide have been performed for the treatment of other diseases such as leukemia and immune deficiencies . In contrast, to date, no clinical trials using CB-derived stem cells for transplant after MI have been reported. The following is an update on recent clinical trials that used BM and skeletal muscle stem cells and preclinical studies that used CB cells to repair the injured myocardium. The emphasis is to evaluate CB as a potential and practical source of stem cells for heart repair after MI. Being the first cell type used clinically, it seems logical to start by discussing the use of skeletal myoblasts, or skeletal muscle satellite cells, as cell therapy after MI. The advantages of these cells are that they are readily available from muscle biopsies, they are contractile cells, and they can be expanded ex vivo before delivery into the myocardium. Moreover, they appear to have an increased resistance to ischemia [55, 71]. Cell transplantation was usually performed concomitant to revascularization or in patients with previous revascularization [1, 2, 4-6]. Most of the studies used direct injection as the delivery route [1-4]. The number of patients in each study ranged from five to 30 and patients were followed up from 68 days to four years. Except for one study, transplantation of satellite cells was shown to improve left ventricular ejection fraction (LVEF) in all recent clinical studies [1, 3-6]. Several of these studies showed improvement in New York Heart Association (NYHA) class. Interestingly, Pagani et al. showed enhanced angiogenesis after cell transplantation, but they did not measure cardiac function or ventricular remodeling. Unfortunately, it appears that the incidence of arrhythmia and ventricular tachycardia, necessitating the implementation of prophylactic amiodarone or implanted cardioverter defibrillator as an adjunct treatment, is commonplace among these trials [2-6]. Further undermining the clinical use of skeletal myoblasts is the reported lack of cardiomyogenesis and electrical coupling with native cardiac cells that would be necessary to maintain a healthy and functioning heart [55, 72]. Detailed descriptions of these most recent clinical studies using skeletal muscle satellite cells are included in Table 1 (not shown). [It is not surprising to this reader that the inadequacy of skeletal muscle donor cells is found to be inadequate for maintaining normal cardiac contractility. Even though contraction of skeletal muscle, smooth muscle, and heart muscle share a basic motif involving CaMKII, the generation of a calcium spark triggering contraction involves a specific relationship between CaMKIIδ and the RyR2 receptor. CaMKIIδ is specific to the cardiomyocyte. The other consideration is that the heart is a syncytium, and it has a relationship to neurohumoral control, distinctly different than that in skeletal muscle This is perhaps the most telling observation in the observed lack of cardiomyogenesis and electrical coupling with native cardiac cells that would be necessary to maintain a healthy and functioning heart [55, 72]]. and/or myocardial perfusion [7-9, 10, 17-20]. A small number of studies reported no benefits from BM transplantation [12-14, 16]. In one study, bone marrow transplantation was complicated by coronary artery re-occlusion . The primary endpoint of most of these trials was to assess the safety and feasibility of BM-SC transplantation as a treatment for ischemic heart disease, however these studies are underpowered. In addition, the efficacy of bone marrow cell therapy is difficult to ascertain from clinical studies, at least in part, due to common utilization of adjunct therapy such as revascularization. More detailed descriptions of bone marrow clinical studies are found in Tables 2-5 (not shown). Since transplantation of autologous BM-SCs leads to improvement in cardiac function, mobilization of BM-SCs using cytokines to increase the number of circulating cells was utilized in succeeding studies. Granulocyte colony stimulating factor (G-CSF) is the most common cytokine used to mobilize BM-SCs in clinical studies [22-31]. The feasibility and safety of G-CSF has been reported by several investigators. The number of patients in the G-CSF studies ranged from five to 114 and they were followed for up to 52 weeks. Clinical studies in the last three years have shown that cardiac function improved in about half of the trials using G-CSF to mobilize BM-SCs [22, 23, 27-29]. The remaining half of G-CSF studies reported no effects on cardiac function [24-26, 30, 31]. In one study, an unexpected reduction in LVEF was reported . Adverse effects of G-CSF treatment were reported in almost all the recent clinical studies [22, 24-27, 29, 31]. Detailed descriptions of G-CSF stud¬ies are shown in Tables 6-7. Amidst the flurry of clinical studies utilizing BM and skeletal muscle SCs, it is a wonder why no trials are reported using CB cell transplantation in humans. However, several pre-clinical studies using various animal models demonstrated the potential use of CB stem cells for cardiac repair after MI [32-40]. Conserved commonalities of cardiac function improvement exist in these studies despite dissimilarity of protocols used [32-40]. The following is a description of the pre-clinical studies which used different subsets of CB-derived stem cells to treat MI. In this review, the pre-clinical studies are categorized according to the type of stem cell administered. We first start with studies that used CB-derived MNCs. Ma et al. reported that intravenous injection of six million CB-MNCs into non-obese diabetic severe combined immunodeficiency (NOD/SCID) mice 24 h post-MI resulted in an increase in capillary density and decrease in both infarct size and collagen deposition three weeks after treatment . No myogenesis was observed. Human DNA was identified in 10 out of the 19 mice that underwent induction of MI. Direct myocardial injection of one-sixth of the amount of cells used in the above study in rats also reduced infarct size and increased both ventricular wall thickness and LVdP/dt and ejection fraction up to six months after treatment . improved cardiac function four weeks after treatment . infarct size up to five months after MI. angiogenesis compared to either MNC or CD34+ . increase in LV fractional shortening were observed. In contrast to other studies, vessel density did not differ between the cell-treated and control rats . Similarly, transplantation of a subset of these immature CD133+ cells, CD34+ CD133+ cells, into a mouse model of hindlimb ischemia resulted in angiogenesis induction . 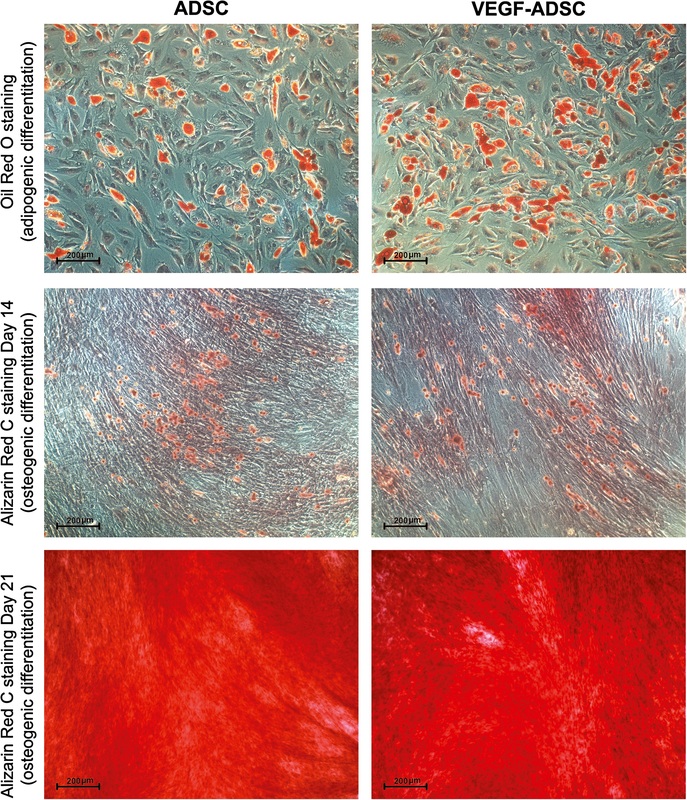 Transplantation of one hundred thousand CD34+ CD133+ cells into ischemic limbs of immunosup-pressed mice increased both vessel and muscle fiber densities fourteen days after injection. In contrast, administration of CD34+ cells resulted in increased vessel density only. Neither of these findings was observed after administration of CD34- cells . expressed KDR, VE-cadherin, CD31, and vW factor and CD45-. Not only were the CB-derived EPCs more abundant (10 fold increase) than those derived from PB, they also further in-creased capillary density when injected into ischemic tissue . positive for CD13, CD29, CD44, and CD49e. In a porcine model of MI, one hundred million USSCs were directly injected into the infarcted heart four weeks after MI. wall motion increased four weeks after transplantation . 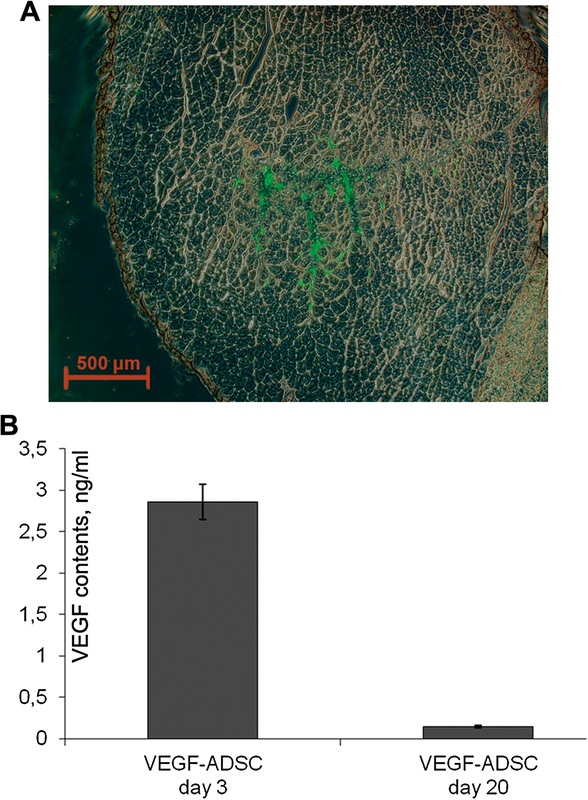 CD34+ cells transduced with the adeno associated viral vector that encoded either human angiopieotin-1 or vascular endothelial growth factor (VEGF) were intramyocardially injected in a mouse model of MI. Improved cardiac function and increased capillary density were observed with CD34+ cells alone. the combined therapy further increased capillary density and decreased infarct size . 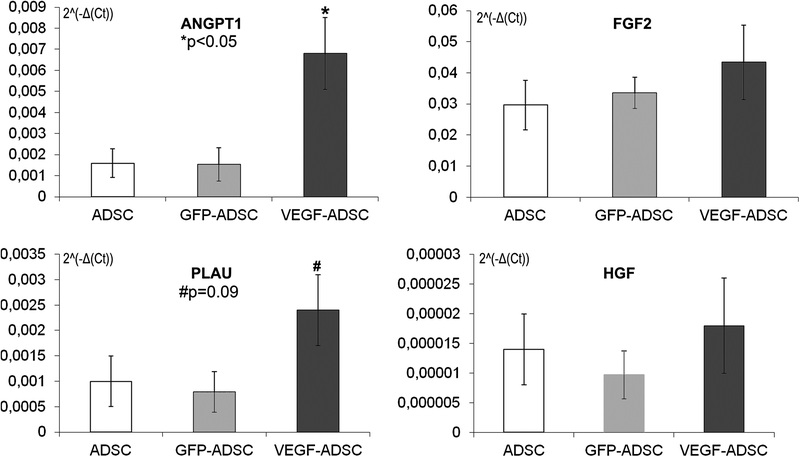 induction of angiogenesis and cardiac function improvement in animal models of ischemia. Myogenesis does not seem to be a mechanism of the beneficial effects of CB transplantation. Compared with adult stem cells, CB cell treatment has limitations. The practical and crucial difference between stem cells obtained from adult human donors and from CB is quantitatively, not qualitatively based. It is uncommon that more than several million stem cells can be isolated from CB. That amount may be too small for transplantation to an adult. Children appear to be ideal recipients when utilizing this source of stem cells since they are smaller patients and require fewer cells per kilogram of body weight . However, ex vivo expansion of these cells may overcome this limitation [73, 74]. There is another concern that the use of CB for transplantation presents a higher risk of transmitting opportunistic infections . The human herpes viruses are common pathogens found in transplant recipients. Currently, it is routine to test for the presence of anti-cytomegalovirus immunoglobin M. However, screening prospective CB donors for these pathogens reduces the risk of transmission of infection . Although early clinical studies suggest that bone marrow and skeletal myoblast transplantation into the infarcted heart improves cardiac perfusion and function, there is an urgent need for large randomized double-blinded clinical trials that assess the overall efficacy of cell-based therapy. In addition, little is known about the mechanisms by which stem cells render their positive effects. Cardiac regeneration by bone marrow cells is an obvious mechanism. However, a small number of experimental studies have purported the occurrence of myocardial regeneration by bone marrow cells. Furthermore, substantial evidence demonstrates that cell types other than cardiomyocytes improve cardiac function, suggesting that the beneficial effects of cell therapy may be independent of cardiac regeneration [76-89]. Enhanced vascularization, on the other hand, is a common finding after bone marrow cell transplantation. Cell engrafment to the vascular wall as well as angiogenic factors released by transplanted cells may be responsible for the enhanced vascularization. Obviously, there remain a considerable number of unanswered questions that must be addressed in basic science laboratories before stem cell therapy becomes standard practice. For example, what are the mechanisms of improvement in cardiac function? Which cell type is best-suited for transplantation? What is the optimal cell concentration that should be used for transplant and what is the most effective route of delivery? The target patient population which would draw clinical benefit from cell-based therapy must also be defined and the optimal time of injection after the onset of infarction has to be determined. Currently, it is difficult to assess the efficacy of stem cell treatment of MI. This is in part due to lack of standardization among clinical as well as pre-clinical studies. Therefore, in order to accomplish these objectives, there is great need for communication among the various research groups concerned with stem cells and clinical studies. Here we add yet another source of stem cells, namely the umbilical CB. This source of stem cells had many advantages mentioned in the preceding sections. In addition, pre-clinical studies indicate the efficacy of CB cells in myocardial repair. However, the fate and benefits of these cells need to be tested in clinical settings. Herreros J, Prosper F, Perez A, Gavira JJ, Garcia-Velloso MJ, Barba J, et al. Autologous intramyocardial injection of cultured skeletal muscle-derived stem cells in patients with non-acute myocardial infarction. Eur Heart J 2003; 24: 2012-20. Pagani FD, DerSimonian H, Zawadzka A, Wetzel K, Edge AS, Jacoby DB, et al. Autologous skeletal myoblasts transplanted to ischemia-damaged myocardium in humans. Histological analysis of cell survival and differentiation. J Am Coll Cardiol 2003; 41: 879-88. Smits PC, van Geuns RJ, Poldermans D, Bountioukos M, Onder-water EE, Lee CH, et al. Catheter-based intramyocardial injection of autologous skeletal myoblasts as a primary treatment of ischemic heart failure: clinical experience with six-month follow-up. J Am Coll Cardiol 2003; 42: 2063-9. Dib N, Michler RE, Pagani FD, Wright S, Kereiakes DJ, Lengerich R, et al. Safety and feasibility of autologous myoblast transplantation in patients with ischemic cardiomyopathy: four-year follow-up. Circulation 2005; 112: 1748-55. Siminiak T, Kalawski R, Fiszer D, Jerzykowska O, Rzezniczak J, Rozwadowska N, et al. Autologous skeletal myoblast transplantation for the treatment of postinfarction myocardial injury: phase I clinical study with 12 months of follow-up. Am Heart J 2004; 148: 531-7. Siminiak T, Fiszer D, Jerzykowska O, Grygielska B, Rozwadowska N, Kalmucki P, et al. Percutaneous trans-coronary-venous trans-plantation of autologous skeletal myoblasts in the treatment of post-infarction myocardial contractility impairment: the POZNAN trial. Eur Heart J 2005; 26: 1188-95. Assmus B, Schachinger V, Teupe C, Britten M, Lehmann R, Dobert N, et al. Transplantation of Progenitor Cells and Regeneration Enhancement in Acute Myocardial Infarction (TOPCARE-AMI). Circulation 2002; 106: 3009-17. Schachinger V, Assmus B, Britten MB, Honold J, Lehmann R, Teupe C, et al. Transplantation of progenitor cells and regeneration enhancement in acute myocardial infarction: final one-year results of the TOPCARE-AMI Trial. J Am Coll Cardiol 2004; 44: 1690-9. Britten MB, Abolmaali ND, Assmus B, Lehmann R, Honold J, Schmitt J, et al. Infarct remodeling after intracoronary progenitor cell treatment in patients with acute myocardial infarction (TOPCARE-AMI): mechanistic insights from serial contrast-enhanced magnetic resonance imaging. Circulation 2003; 108: 2212-8. Perin EC, Dohmann HFR, Borojevic R, Silva SA, Sousa ALS, Mesquita CT, et al. Transendocardial, autologous bone marrow cell transplantation for severe, chronic ischemic heart failure. Circulation 2003; 107: 2294–302. ABSTRACT – Myocardial infarction (MI) and stroke are the first and third leading causes of death in the USA accounting for more than 1 in 3 deaths per annum. Despite interventional and pharmaceutical advances, the number of people diagnosed with heart disease is on the rise. Therefore, new clinical strategies are needed. Cell-based therapy holds great promise for treatment of these diseases and is currently under extensive preclinical as well as clinical trials. The source and types of stem cells for these clinical applications are questions of great interest. Human umbilical cord blood (hUCB) appears to be a logical candidate as a source of cells. hUCB is readily available, and presents little ethical challenges. Stem cells derived from hUCB are multipotent and immunologically naive. Here is a critical literature review of the beneficial effects of hUCB cell therapy in preclinical trials. • ensure that follow-up is complete and of adequate duration. Whether these subpopulations of cells are best suited to treat a disease is still unanswered. Currently, the only confirmed source for totipotential cells is embryonic. However, there are ethical and scientific obstacles to unbridled use of such cells. For clinical application, autologous adult stem cells are the obvious choice. To date, only adult stem cells derived from a patient’s own bone marrow are being used in clinical trials. Autologous BMC therapy is not without problems. The majority of instances of MI and cerebral ischaemia (CI) occur in the elderly. Since the quantity and function of BMCs decrease with age, an allogeneic younger donor may be used to source BMCs. This may hinder the efficiency of such a treatment and suffer rejection, therefore another source of stem cells is needed. Cryopreserved stem cells derived from human leukocyte antigen (HLA)-matched and unmatched unrelated donor hUCB were realised as a sufficient source of transplantable hematopoietic stem cells with high donor-derived engraftment and low risk of refractory acute graft-versus-host disease. However, the use of hUCB cells as treatment for either MI or CI has only been recently investigated in preclinical models. There are several outstanding review articles on stem cells derived from cord blood in MI7–11 and stroke.12–17 This article adds depth to the debate by providing an updated review as well as presenting an integrated overview of studies involving MI and CI cell-based therapy. In the preparation of this review, every effort was made to include all relevant publications since 2005. Due to space limitations, the number of articles cited has been limited. Retardation or reduction in LV remodelling were also reported.18,21,22 Although the vast majority of studies showed positive outcomes, HLA matching and further study are still needed before UCB stem cell therapies can become safe and effective treatments in humans. A prime example of the need for further elucidation of these emerging therapies can be illustrated by the findings in a study by Moelker.26 This study used intracoronary administration of unrestricted somatic stem cells (USSCs) in a balloon left circumflex artery (LCX) occlusion ischaemia-reperfusion porcine model of MI. They found that treatment did not improve outcome and actually increased infarct size. Their histological analysis revealed that the injected cells worsened the infarct by obstructing vessels downstream. Identifying subpopulations of progenitor cells with the highest potential for tissue repair is another unanswered ques¬tion prior to widespread application of this therapy in clinical settings. Previous studies showed that UCB-derived endothe¬lial progenitor cells (EPC) to be a promising subset of stem cells for treatment of MI; however their number may be insufficient to treat adult patients. This problem can be addressed by expanding these cells in culture prior to transplant. 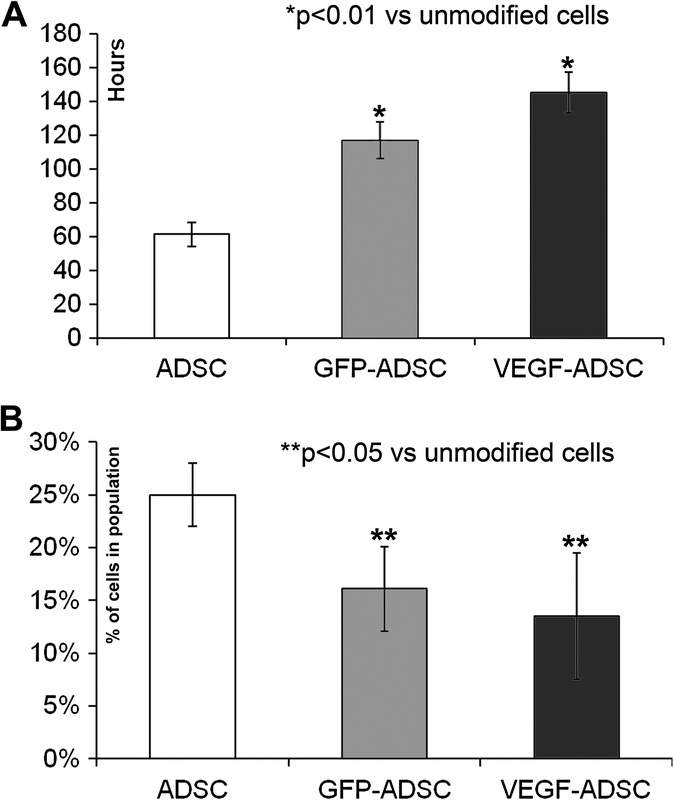 Techniques are being developed to culture clinically significant quantities (60 population doublings) of EPCs from UBC CD.25 Transplantation of these expanded cells improved ejection fraction (EF) and vascular density in vivo, demonstrating that such a culture method may be a viable option to produce EPCs for future use in humans. Another study evaluated the use of gene therapies in conjunction with UCB stem cell therapy.24 CD34+ cells were transfected with AAV-Ang1 and/or AAV-VEGF 165. The gene-modified stem cells resulted in greater increases in capillary density and cardiac performance along with larger reduction in infarct size compared to CD34+ cell therapy alone. 1 Valina C, Pinkernell K, Song YH et al. 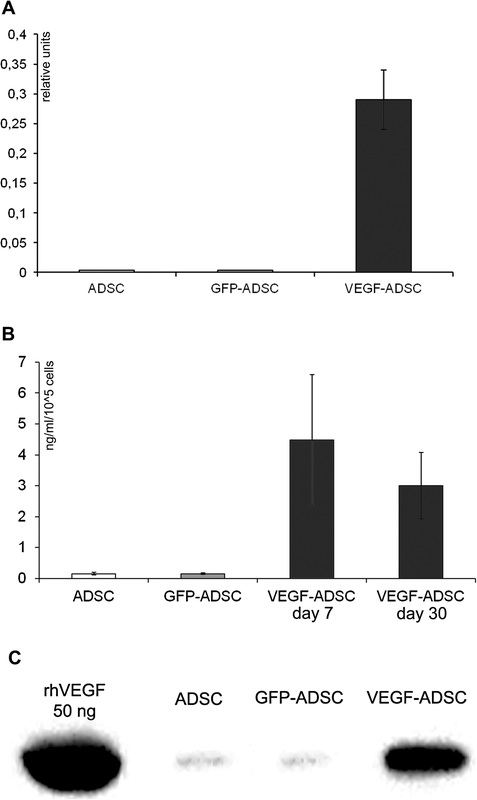 Intracoronary administration of autologous adipose tissue-derived stem cells improves left ventricular function, perfusion, and remodelling after acute myocardial infarction. Eur Heart J 2007;28:2667–77. 2 Zhang DZ, Gai LY, Liu HW et al. 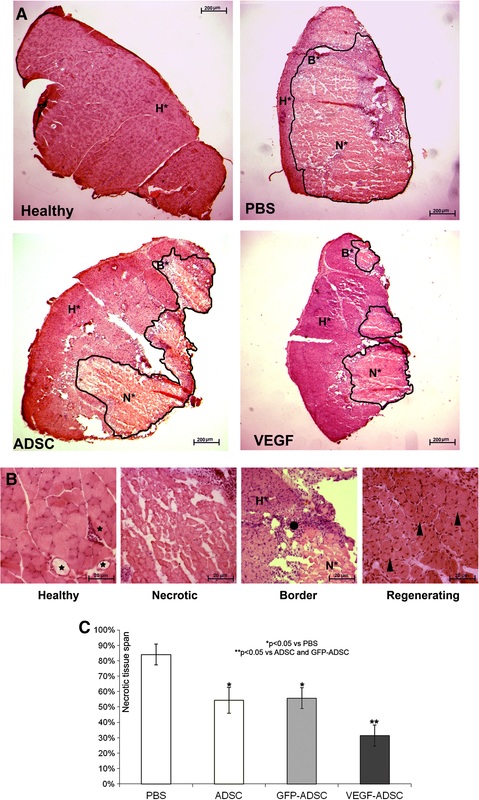 Transplantation of autologous adipose-derived stem cells ameliorates cardiac function in rabbits with myocardial infarction. Chin Med J (Engl) 2007;120:300–7. 4 Hoogduijn MJ, Crop MJ, Peeters AM et al. 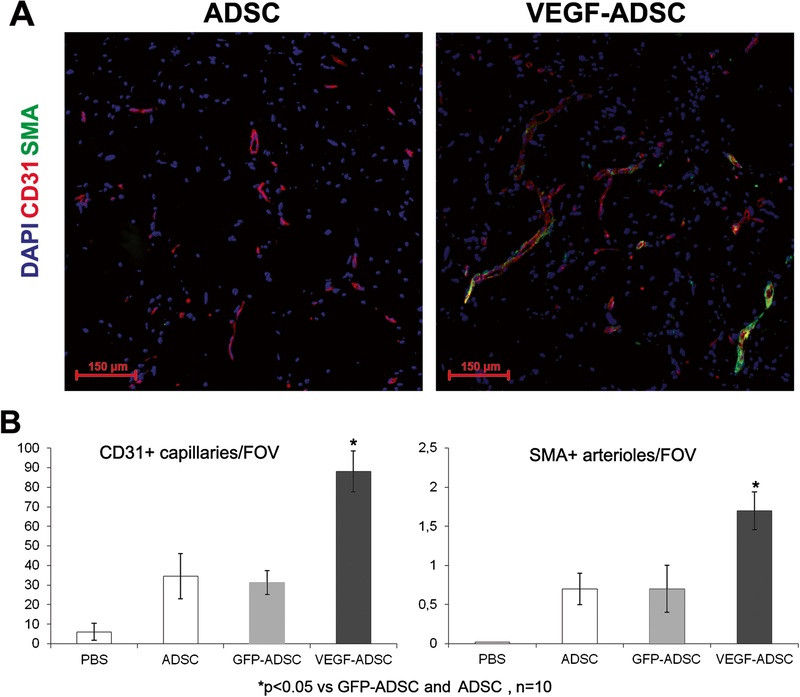 Human heart, spleen, and perirenal fat-derived mesenchymal stem cells have immunomodulatory capacities. Stem Cells Dev 2007;16:597–604. 5 Payne TR, Oshima H, Okada M et al. 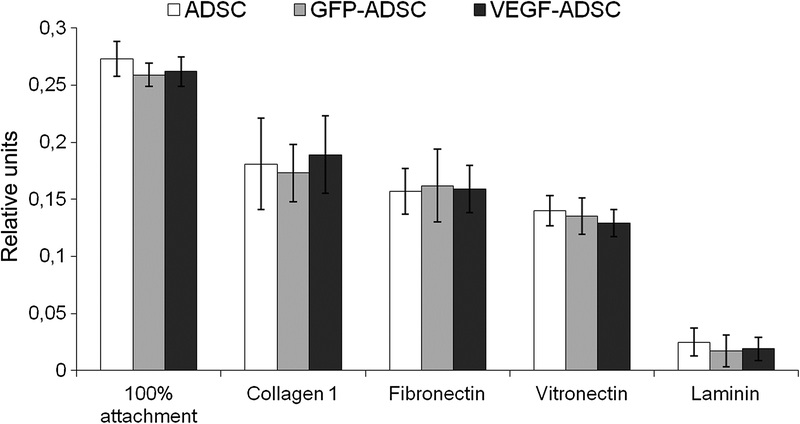 A relationship between vascular endothelial growth factor, angiogenesis, and cardiac repair after muscle stem cell transplantation into ischemic hearts. J Am Coll Cardiol 2007;50:1677–84. 6 Herreros J, Prósper F, Perez A et al. Autologous intramyocardial injection of cultured skeletal muscle-derived stem cells in patients with non-acute myocardial infarction. Eur Heart J 2003;24:2012–20. 7 Goldberg JL, Laughlin MJ, Pompili VJ. Umbilical cord blood stem cells: implications for cardiovascular regenerative medicine. J Mol Cell Cardiol 2007;42:912–20. 8 Wu KH, Yang SG, Zhou B et al. Human umbilical cord derived stem cells for the injured heart. Med Hypotheses 2007;68:94–7. 9 Zhang L, Yang R, Han ZC. Transplantation of umbilical cord blood-derived endothelial progenitor cells: a promising method of therapeutic revascularisation. Eur J Haematol 2006;76:1–8. 18 Wu KH, Zhou B, Yu CT et al. Therapeutic potential of human umbil¬ical cord derived stem cells in a rat myocardial infarction model. Ann Thorac Surg 2007;83:1491–8. 19 Kim BO, Tian H, Prasongsukarn K et al. Cell transplantation improves ventricular function after a myocardial infarction: a preclinical study of human unrestricted somatic stem cells in a porcine model. Circulation 2005;112:I96–104. 20 Henning RJ, Burgos JD, Ondrovic L et al. Human umbilical cord blood progenitor cells are attracted to infarcted myocardium and sig-nificantly reduce myocardial infarction size. Cell Transplant 2006;15:647–58. 21 Hu CH, Wu GF, Wang XQ et al. Transplanted human umbilical cord blood mononuclear cells improve left ventricular function through angiogenesis in myocardial infarction. Chin Med J (Engl) 2006;119:1499–506. 22 Ma N, Ladilov Y, Moebius JM et al. Intramyocardial delivery of human CD133+ cells in a SCID mouse cryoinjury model: Bone marrow vs. cord blood-derived cells. Cardiovasc Res 2006;71:158–69. 23 Leor J, Guetta E, Feinberg MS et al. Human umbilical cord blood-derived CD133+ cells enhance function and repair of the infarcted myocardium. Stem Cells 2006;24:772–80. 24 Chen HK, Hung HF, Shyu KG et al. Combined cord blood stem cells and gene therapy enhances angiogenesis and improves cardiac perfor-mance in mouse after acute myocardial infarction. Eur J Clin Invest 2005;35:677–86.